In the aftermath of the 2018 Global Bamboo and Rattan Congress (BARC 2018), INBAR has produced a report to guide stakeholders in translating momentum into action. 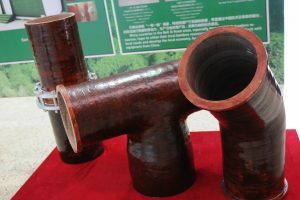 The first Global Bamboo and Rattan Congress was held in Beijing from 25 to 27 June. With 1200 participants from almost 70 countries, and a wide range of sectors – from students to policy makers, researchers and entrepreneurs – the three-day event boasted many successes. The Congress culminated in the launch of the Beijing Declaration, which recognises the key role of bamboo and rattan in sustainable development and commits participants to call on their governments for further work. 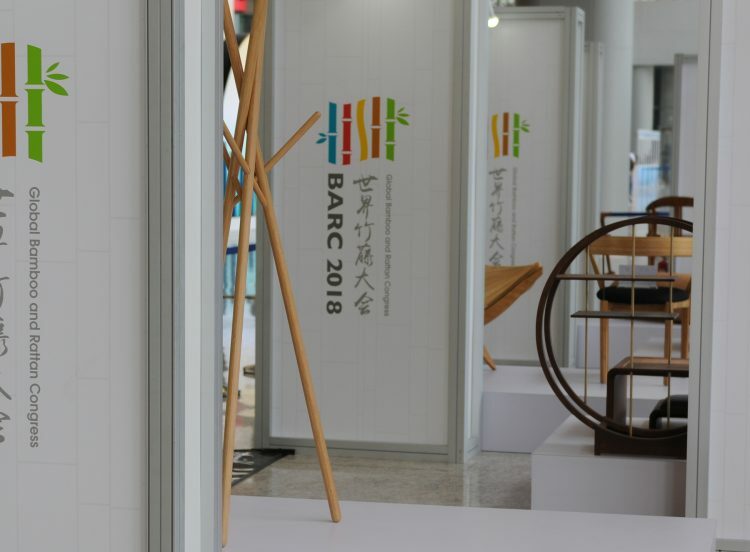 Importantly, BARC 2018 always aimed to be more than a ‘talking shop’ – instead, it was conceived as a platform to bring together people from across society, to inspire action and forge solutions to several of the problems facing bamboo and rattan’s development. The Declaration is only one of the many commitments made at BARC to further action. 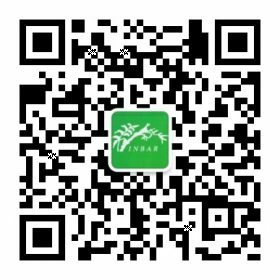 In September, INBAR published a report on ‘Translating the Beijing Declaration into Action’, and mapping the road ahead for bamboo and rattan development. José Graziano da Silva, Director General of the Food and Agriculture Organization, was one of a number of key speakers to send a message of support at BARC. The major themes of the Beijing Declaration reflect some of the key challenges raised in conversation at BARC. Recommendations include the need for more policy support and investment; a desire for increased knowledge transfer about bamboo and rattan, and stronger cross-country cooperation; the importance of capacity building and training; and the necessity to build a scientific knowledge base to improve the use of bamboo and rattan as ‘nature-based’ solutions to ecological challenges. With an outstanding display of political support, including messages from heads of state as well as key UN organisations, BARC showed that bamboo and rattan are already part of the sustainable development debate. 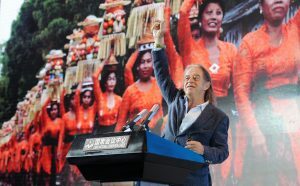 This support continued throughout the Congress, with speakers from a wide range of prominent organisations proposing their vision for bamboo and rattan development. 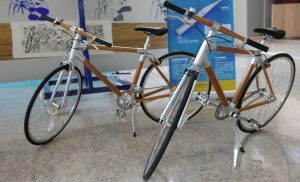 A three-day Exhibition of bamboo and rattan products was held alongside the Congress: from bicycles to drainage pipes and housing. Of equal importance for future action were joint projects launched during the congress, including a new Inter-Africa Project, and steps were taken towards building new partnerships and consolidating existing activities. This is especially pertinent across Africa, where INBAR’s work is kickstarting development, agriculture, and environmental services, and embodying the spirit of South-South Cooperation across the continent. 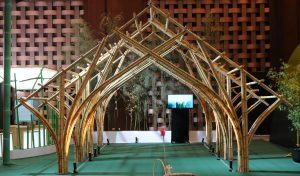 INBAR’s flagship project, the Global Assessment of Bamboo and Rattan, shone at the Congress, with a workshop of experts meeting to hammer out standardised internaitonal methodologies for bamboo resource assessments and carbon storage abilities. The results of the workshop will have a direct impact on how member states analyse the benefits of their bamboo forests, and will contribute to the Food and Agriculture Organization’s upcoming Forest Resource Assessment 2020. Meaningful, sustainable action and development has already resulted from BARC2018, and with the continued support of INBAR’s member states and other stakeholders and key strategic partners, seeds that will sown at the Congress will continue to flower. Finally – in a striking demonstration of the need for action, BARC 2018 promised to be a carbon-neutral event. At the Congress, Dr. Li Nuyun, Executive Vice-President of the China Green Carbon Foundation, stated that her organisation will help establish a bamboo plantation in Yunnan province, China. Over time, the plantation will aim to sequester all the carbon emitted over the course of the Congress. For more information on BARC2018, please see the BARC website here or a day-by-day breakdown of the event itself here (day 1), here (day 2) and here (day 3).